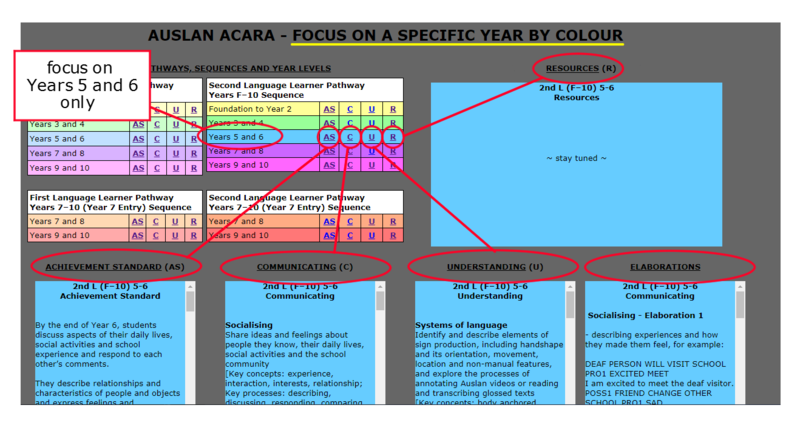 Below are two easy-to-follow interactive colour-coded charts, designed to help you to organise Auslan lesson plans using the ACARA curriculum. Below is a screen shot on how to use it. 4. 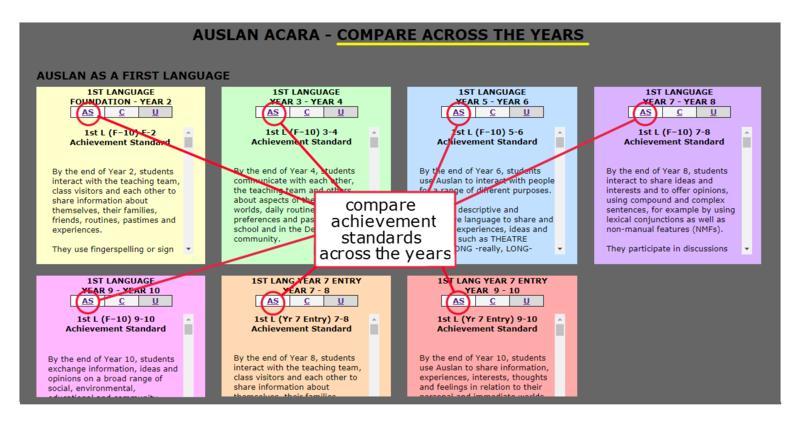 The Elaborations in the Communicating and Understanding boxes will be opened in a new page.